Hogs are particularly vulnerable to intestinal parasites because of their eating habits. Hogs infested with worms will not die unless already weakened, but they will become thin and sick. The improperly cooked meat of parasite-infested hogs also presents a risk to humans, as the cysts of some parasites can be ingested and lead to human infestation. The serious risk to humans and hogs can be lessened through diet, management and medication. Never feed your hogs potentially contaminated scraps or carcasses. Dietary supplements such as garlic and diatomaceous earth show great promise as natural wormers, although they should not be considered a substitute for worming entirely. 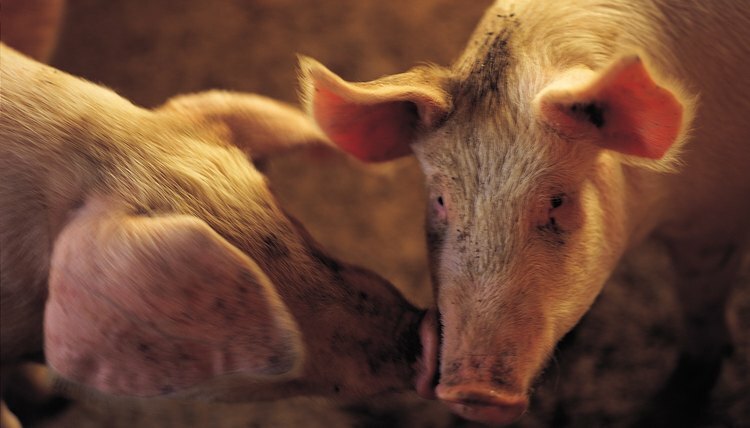 When allowing pigs to feed on pasture, check their feces on a regular basis for worms, as they can be picked up from the soil, even on pastures that have not been used in some time. Never use the same medicine over and over, as the parasites can become immune to it. Piglets should be wormed at weaning, using ivormectin, fenbendazole or doramectin. Sows and breeding stock should be wormed every six months, and pigs new to the farm should be wormed immediately. Hogs ready for slaughter should be wormed five weeks before slaughter. Keep the pens and farrowing stalls clean and free of manure. Sanitize visitors to the farm by having them step in a tray of bleach water, at least ankle deep. More than just parasites can travel on mucky boots. This step will help eliminate the transfer of disease. Use worming remedies regularly and rotate methods to prevent resistant worms from infesting your stock. Keep pastures free of standing water and mud holes. Many parasites cycle through more than one host, and most of the secondary hosts need moist areas to survive. Organic growers will use the diet and management of their hogs to prevent and control worm infestation primarily. 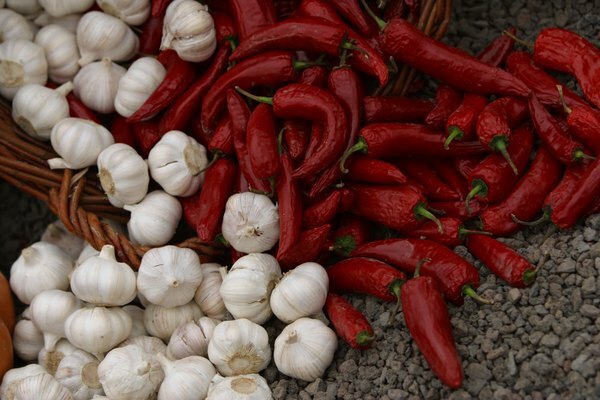 In the event that worms do enter the herd, the remedies that can be used include garlic, diatomaceous earth and cayenne as mentioned. Other remedies may include wood ash or charcoal and herbs. Studies conducted in Europe showed that feeding lemon balm (Melissa officinalus), thyme (Thymus vulgaris) and purple coneflower (Echinacea purpurea) is effective against worms. Purely organically raised hogs will probably have some parasites, as no organic deworming methods are entirely effective. Iowa State University; Organic Pork Production; Jude Becker, et. al.